Have you ever faced the challenge of needing to raise funds for your school, church, village hall or local community group? Yes? Then this book is for you! Whatever you need to know - it's here. Whatever you need to achieve - this book tells you how to do it. 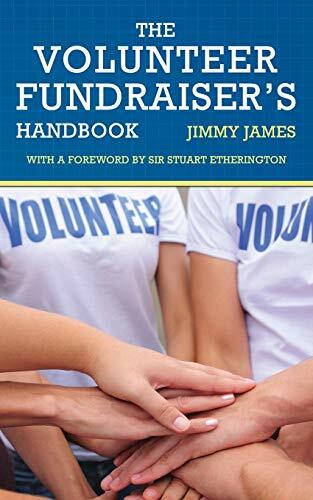 'The Volunteer Fundraiser's Handbook' is the essential companion for all those who need to raise funds but can't afford to retain or employ professionals., The author, Jimmy James, has spent more of his working life in fundraising than in any other activity - and much of his free time as well engaged in voluntary charitable work. Working with volunteers and professionals in many fields, he has successfully raised millions of pounds for a wide variety of charities throughout the United Kingdom and overseas. Now you have the opportunity to benefit from his experience., 'The Volunteer Fundraiser's Handbook' takes you through every stage of charity fundraising - from the setting up of a charity, through the planning and preparation of a fundraising campaign, and leading to chapters dealing with all the major sources of funds a small charity might wish to access, together with advice on tax reclaiming and public relations.You have a fundraising problem? 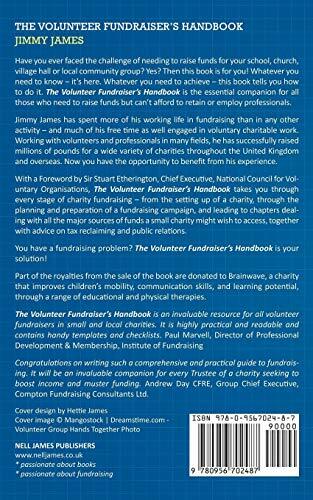 'The Volunteer Fundraiser's Handbook' is your solution! The author is donating part of his royalties to Brainwaves, a charity that improves children's mobility, communication skills, and learning potential, through a range of educational and physical therapies. The book also includes a Foreword by Includes a Foreword by Sir Stuart Etherington, Chief Executive, National Council for Voluntary Organisations.